A word on the title… Varshtat is what my father called our workshop in Ukrainian. While this particular one was discovered during a road trip in rural New Jersey, it evokes our own perfectly. Growing up, in terms of utilitarian spaces the workshop was second in importance buy vicodin mexico only to the kitchen. 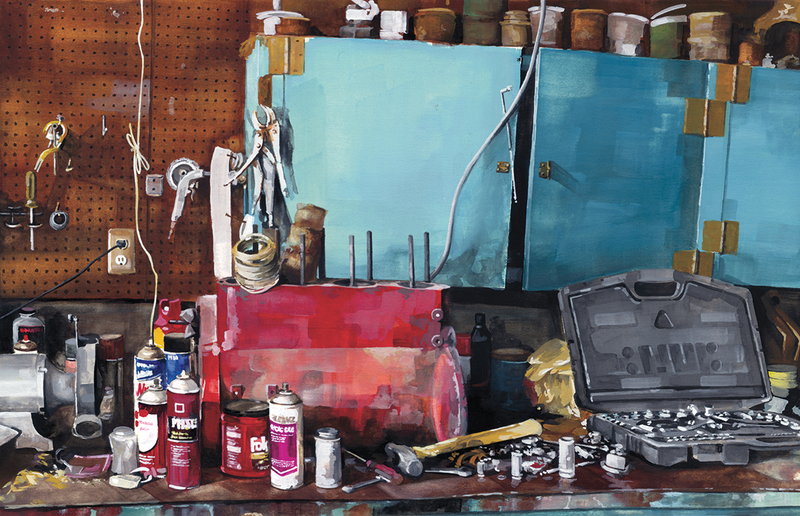 Now that I think about it, the satisfaction I get from realist painting, both in practice and as an observer, probably began there, with my father, losing ourselves in the underlying mechanics of everyday things.